Just call us DokuFunk. We are passionate about radio, broadcasting and amateur radio alike. Everything from the pioneer days untill today. 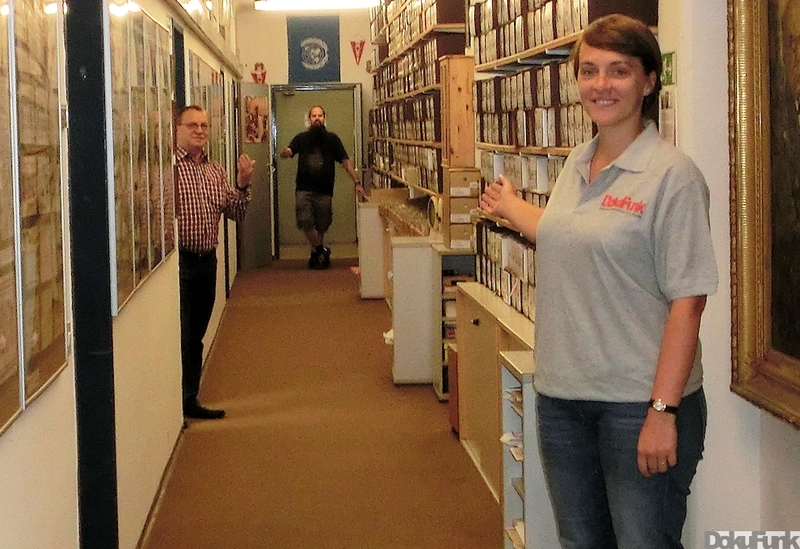 We collect, preserve, research and present whatever relates to the history of radio: books, magazines, documentation of all kind, audio, photographs, video - you name it. And, yes, amateur QSL cards and broadcast reception reports. Everything except hardware. We do not buy or sell but accept donations, bequests, estates from all over the world. We are a curatorium (financed by donations and project work), founded about 25 years ago, based in Vienna but globally active: non-profit, professional, experienced and highly motivated. Take the guided video tour and browse through our pages to find more about us. Go to the German pages even if you do not speak German; the better part of what we have to offer is right there. A donation to cover the costs of filing is welcome.